New raw wedge finish provides maximum spin performance with improved feel, versatility and precision around the greens. The PŪR wedge has a rust resistant raw finish that delivers tour proven spin for precision shot making. AKA "The Digger" has a steeper, more agressive attack angle that creates deeper, longer divots to produce lower trajectory wedge shots. AKA "The Slider" is the more versatile player that likes to create smaller, shallower divots to have better control over a variety of wedge shots. Utilize this chart to help choose the correct lofts to perfectly gap your wedge game. Note the lofts associated with those distance and try these lofts first. Raw stainless steel gives you tour preferred feel, diffuses glare in the sunlight, and resists rusting overtime for timeless looks. I bought the pur 60,56,52. I love all of them. They feel great and are consistent. I could not ask for anything more. I have had these wedges for some time and I the benefits of the different grinds have really made my short game more precise because of the different shots I can play. I love the feel of the wedges which for me translates to better distance control. These are solid wedges if you're in the market. I have the 56 versatile grind and the 60 wide low. These wedges look great at address. I like how you can easily open up the face to play shots around the green. These wedges have a good feeling to them. They are not the softest feeling wedges I've played, but it honestly does not bother me. I would not consider the feeling harsh either. It has a pretty balanced feel to them. These wedges give me pretty consistent spin. I always have a good idea of what my shot is going to look like. I don't think they spin the most. They give me consistent spin all the time - and I like that about these wedges. Overall, these are pretty solid wedges that offer consistent performance across the board. Recently I was at the PGA Tour Superstore and was having a rough last 8 months. Wedge is great out of the sand and turf conditions. This is the most beautiful club I have ever seen. The raw look and the shinny silver just look amazing. The wedge itself works so well. I have the 54* versatile and the 60* wide low and it is the perfect setup. The wide low is so simple in the sand and around the greens it makes me look like a wizard. I can go for a 50 yard shot as well. The 54 is now my 110 and in club. Both clubs put the brakes on the ball when I need it. My only complaint would be that the club seems to scratch very easily. 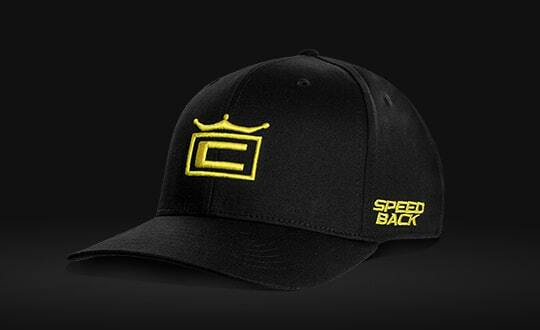 I wish Cobra had head covers but I will be experimenting with some of the stuff I use for my car to see if I can keep the great looks up. Decent look at setup. Perform okay. Don't spin the most, don't spin the least. Lack of bounce options hurts. Need some different bounce options. Thin sole, low bounce, wide sole, high bounce, etc. Shafts are nothing special. I custom-order these wedges with modus 125 shafts. 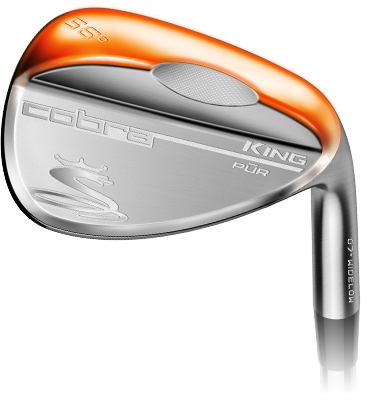 To match my king forged Tec irons with the modus 125. I have played vokey wedges pxg wedges Mira and fourteen. These are by far the best wedges. Thank you very much cobra. This club is amazing the face grabs the ball when it leaves the club for better control. I would highly recommend this club for anybody who is an avid golfer. Changed over from SM6 Vokeys to PUR. Excellent wedges. Felt very soft of the face and spin numbers was higher. Great control around the greens. 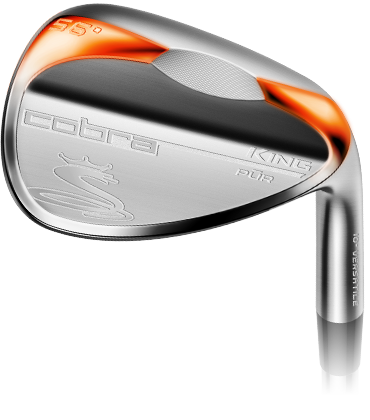 The new Cobra King PŪR wedges have been designed to give players the spin they need to better control their golf ball around the green, and on full shots from inside 125 yards (or however far you hit your wedges). From I’ve seen, they’re on to something here. I’ve never spun any wedge as well as I spin the new features a new King PŪR wedges. There’s a lot of science and technology that goes into the design and engineering of these clubs. It all starts with a raw finish on the 304 Stainless Steel clubhead. This material has a softer feeling grain structure that combines with the muscleback design to dampen vibration and improve the sound, Cobra refers to this as their “Vibration Management System”. 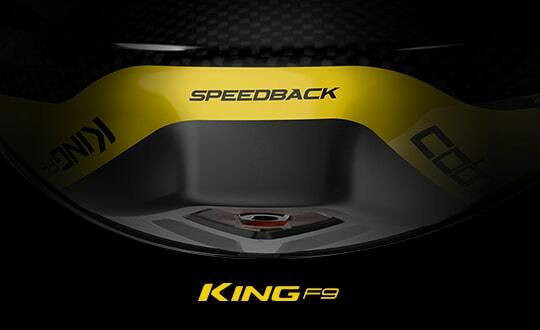 Three different technologies are used in producing controllable spin off the face of the new King PŪR wedges. 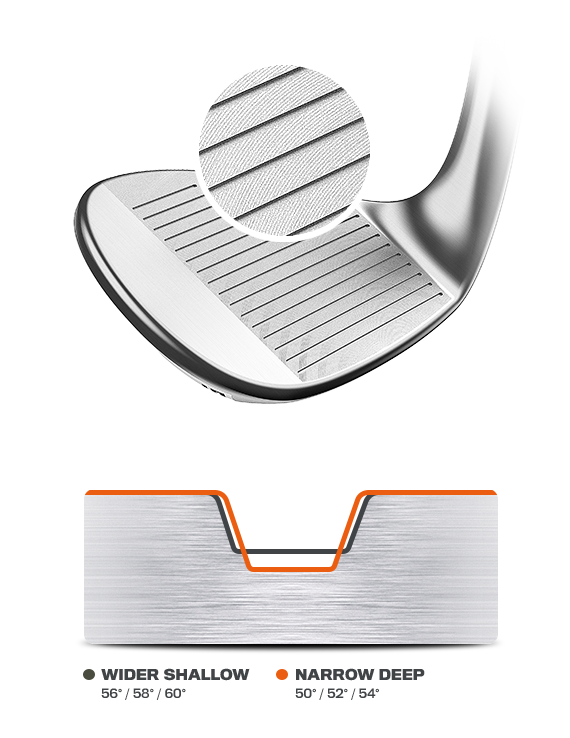 First off, Cobra’s 100% CNC Milled Face Grooves creates highly accurate grooves while their patented milling technique - Various Face Roughness - optimizes surface roughness across the face to maximize spin and control for more precise shots around the green. The third feature is their Progressive Spin Technology. The groove pattern has been redesigned with a larger gap between grooves in the weaker lofted wedges, and narrow, tighter spaced grooves in the stronger lofted wedges providing more consistent trajectory through wedge lofts. Whether you’re a Digger, Slider or Neutral (we’ll call you Switzerland), the new King PŪR wedge has a grind to fit you. Diggers tend to have a steeper, more aggressive attack angle that produces a lower trajectory and longer, deeper divots. Diggers will benefit from Cobra’s Widelow Grind, a wide soled/low bounce wedge that is perfect for wet or softer fairways and green-side areas. The Slider is a versatile player who likes to create smaller, shallower divots, giving him/her better control over a variety of wedge shots. This player will benefit most from King PŪR’s versatile grind, which features a softened leading edge with heel and toe relief which provides a wide variety of shot choices and works best in medium to firm conditions. While Switzerland makes medium to shallow divots and can play with just about any club in any condition, he/she will benefit most from Cobra’s Classic Grind. The King PŪR Classic Grind wedge in available in classic lofts with thinner soles and higher bounces to give you greater performance in a wide range of conditions. One last feature is something called Notch Technology, an exclusive engineered design that allows the sole and trailing edge to sit lower on the ground at address on both square and open-face shots. This allows players to effectively add/subtract loft from their shot. 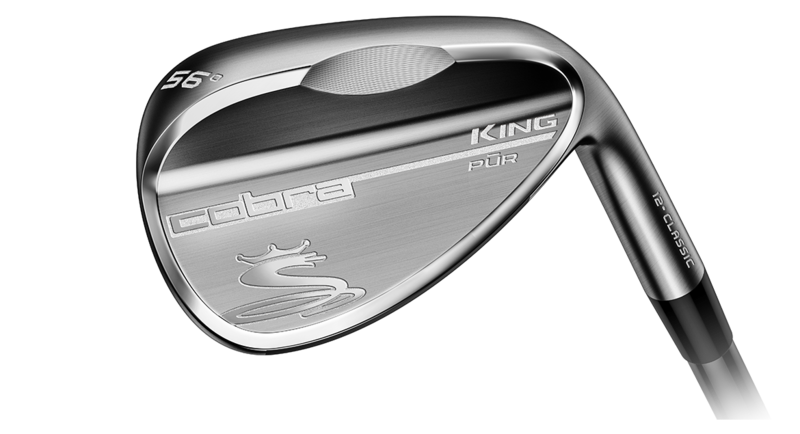 If you’re thinking of changing your wedges because you want more spin and control, look no further than the new Cobra King PŪR wedges. 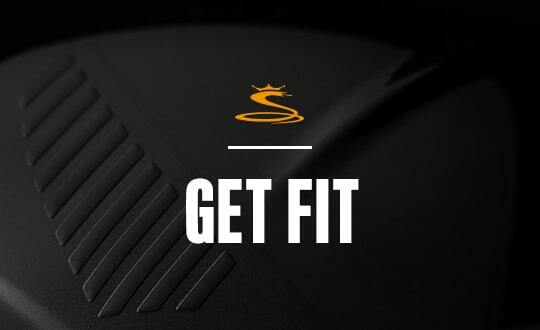 Visit your local golf shop and take them for a test drive. I mean chip! The spin was lacklustre and the versatility was nonexistent!!! Ive played alot of wedge brands and these perform just as good or even better than the other big names in golf. Great spin numbers, sharp appearance. These wedges will perform any shot you want to hit. I love these wedges and have enjoyed them so much this year. I originally bought 56 & 60 and now have added 52 and will be adding 50 and bending to 48 to take the place on my set PW..... Can you tell I Iike these wedges? I've played so many brands but this true forged feel sets these apart from all others. I get compliments each round I play with them .. Came from MD2 which are forged, so I was kind of spoiled with feel. 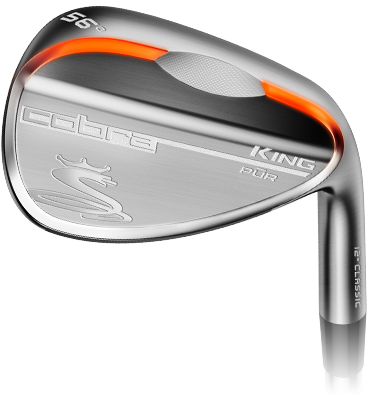 Gave these a try because I love Cobra stuff, and honestly these feel pretty much as nice as a forged wedge. Very soft for a cast club but still gave me loads of spin. If you nip the ball with these, the ball checks up very quick. I own Cobra Forged Tec irons, so now my whole bag from 5 down is now Cobra! I decided to get a 56 versatile with CTaper Lite on it, man the feel feedback from it is nothing I've had before. I've owned SMs before, i think by far this one trumps all the wedges I've had. Make sure you get the grind right and you'll love this baby right away.